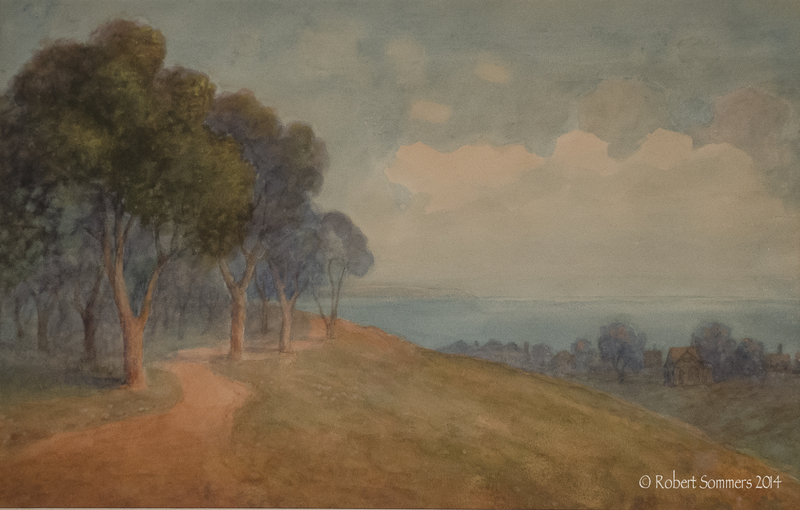 John Louis Bertrant Comparet ( 1848-1929) View of San Diego Bay, 11 x 18″,watercolor, dated 1922. signed and dated lower right. Framed, not examined out of frame. Born in South Bend, IN on March 16, 1848. Comparet was in Denver, CO in 1880. He settled in San Diego, CA in 1894 and was active there until his death on March 22, 1929. A view of the local mission is extant. He was the brother of artist Alexis Comparet.